An Inland Beach for Los Angeles' Silver Lake Neighborhood? - Archpaper.com An Inland Beach for Los Angeles' Silver Lake Neighborhood? Thanks to new EPA regulations, Silver Lake is saying goodbye to it reservoir. But resident Catherine Geanuracos hopes the community will soon be saying hello to something new: a body of water repurposed for recreation, complete with lap lanes, an open swim area, and a miniature beach. 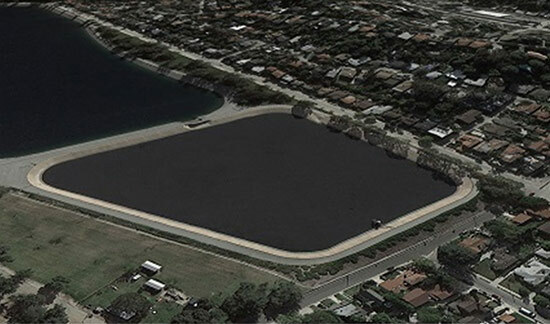 As the Los Angeles Department of Water & Power (LADWP) prepares to drain Silver Lake Reservoir and the adjoining Ivanhoe Reservoir and reroute the city’s drinking water supply through underground pipes, Geanuracos’s organization, Swim Silver Lake, is urging city officials to transform the area into a destination for serious swimmers and casual beach-goers alike. Geanuracos says that she, like many Silver Lake residents, has often wondered how the Silver Lake Reservoir Complex might be put to public use. “Every time I run [around it], I’m like, ‘why can’t I go swimming in it?’” she said. “It’s an amazing space that hardly anyone has access to.” This fall, when Geanuracos first heard about plans to drain the reservoir, she realized the time for action was here. She launched Swim Silver Lake less than a month ago, at her own birthday party. Over 700 people have signed up online to support the project. 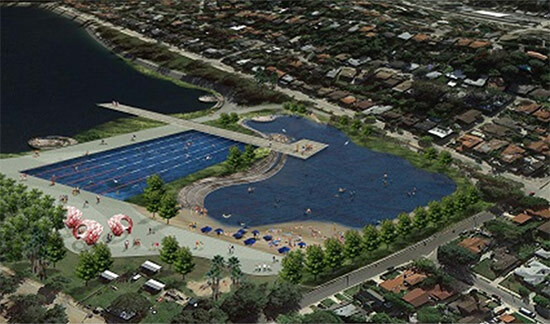 Swim Silver Lake will be presenting their proposal to the Silver Lake Neighborhood Council in February. In the meantime, Geanuracos is scheduling meetings with key government players, including the LADWP, the Los Angeles City Council, and the mayor’s office. She recognizes that the novelty of her idea poses a particular challenge. “It’s not like there’s a precedent for how you do this, because we haven’t had this opportunity before,” she said.